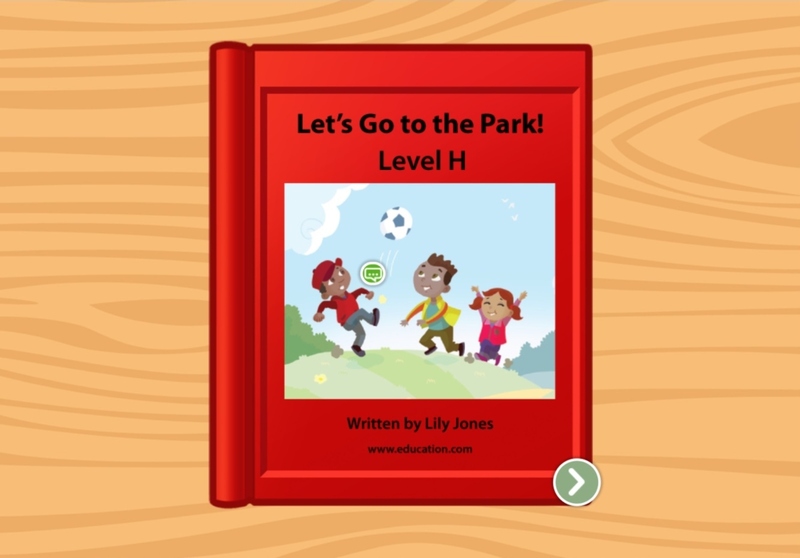 Kids follow the narrator of this levelled book through a day at the park, from snacks to soccer to a game of tag. 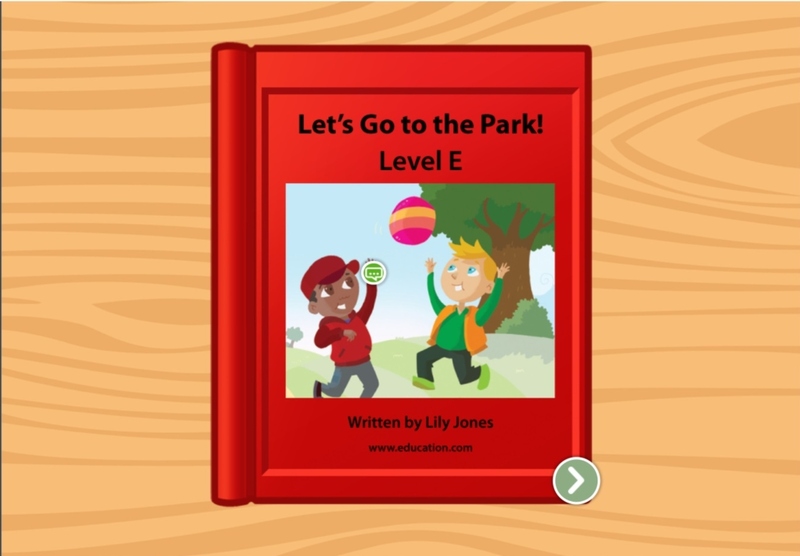 Even if it's fall or spring, you can give your child this levelled book about summer for extra reading practise any time of year. 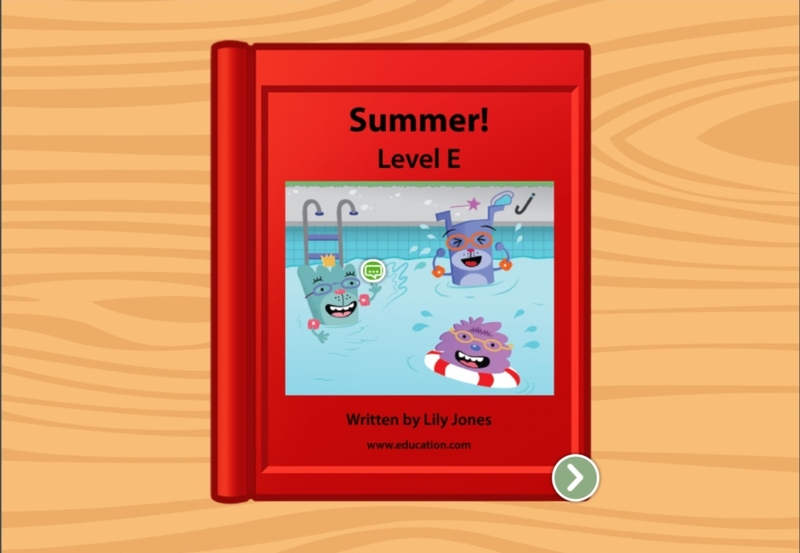 For kids that need a bit of a challenge, this levelled book about summer features multiple sentences per page and more complex vocabulary. 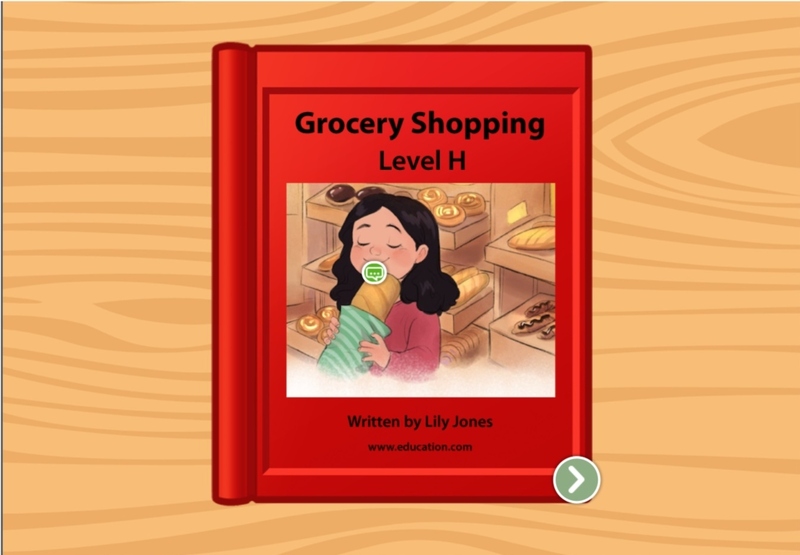 In this levelled book, a girl and her dad head to the grocery store to pick up ingredients for a spaghetti dinner. 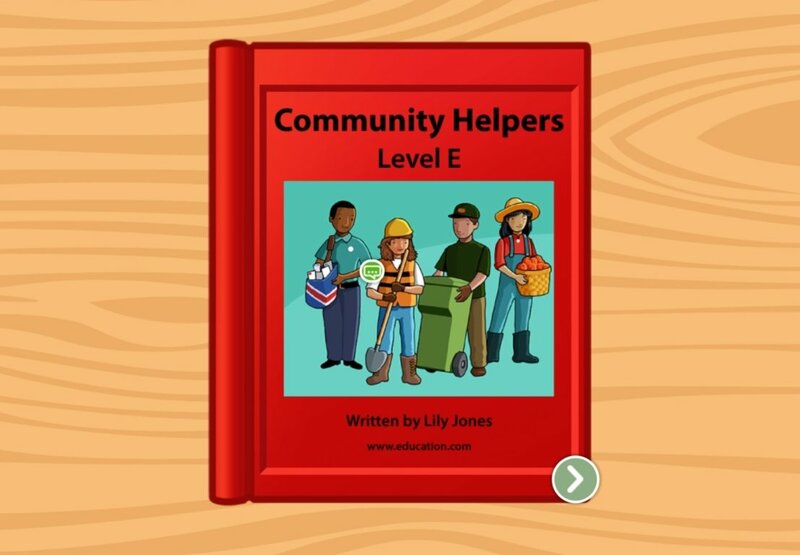 This levelled book uses complex sentences and a variety of vocabulary to challenge readers and build essential skills. Get your kid ready for their big trip, or just dream of s'mores and scenic views, with this levelled book. 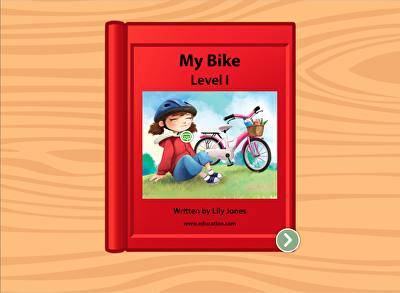 In this levelled book, kids can gather up what they need for a bike ride and then hit the road with new reading skills. 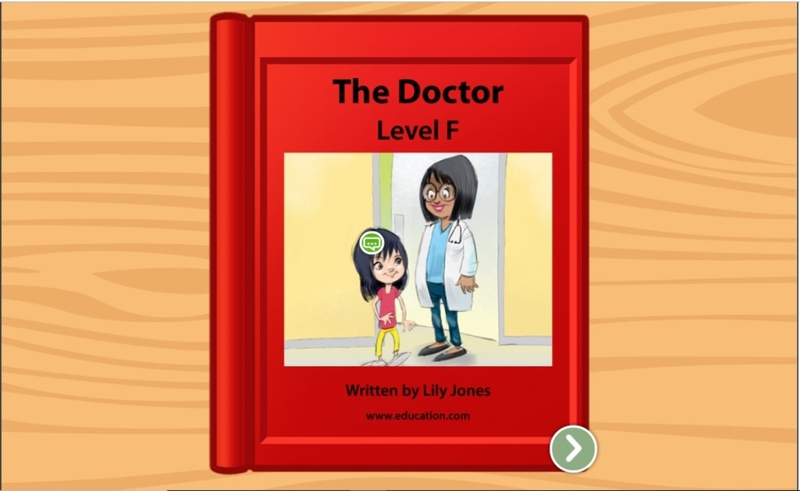 This levelled book about a doctor visit is written and reviewed by education professionals, so it's teacher-approved and age-appropriate too. Is your child a recent recipient of a cast or sling? 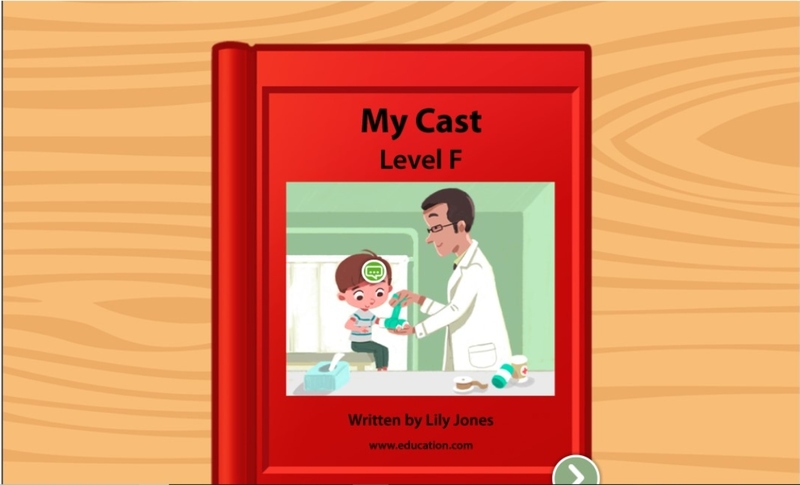 Make them feel a little better with this levelled book about a kid with a similar story. 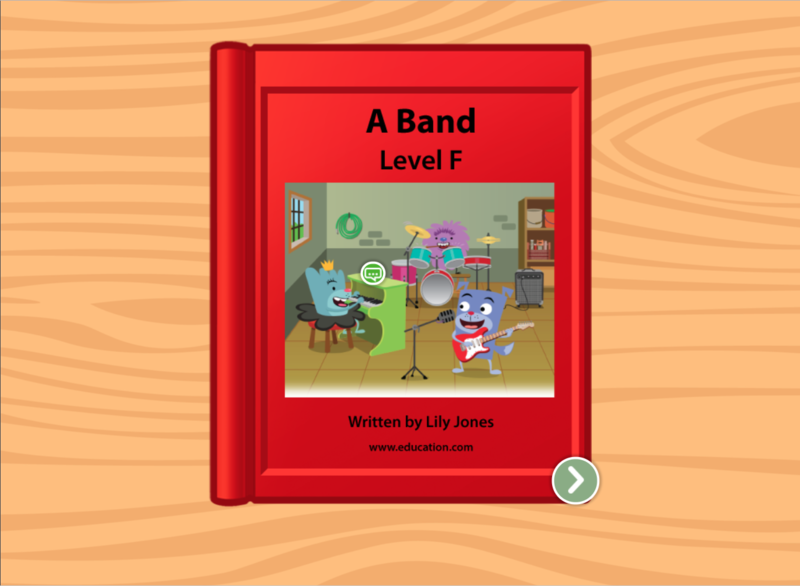 Read all about the many kids of animals and what makes them great pets in this levelled book meant to help new readers learn key skills. Ready for a ride? 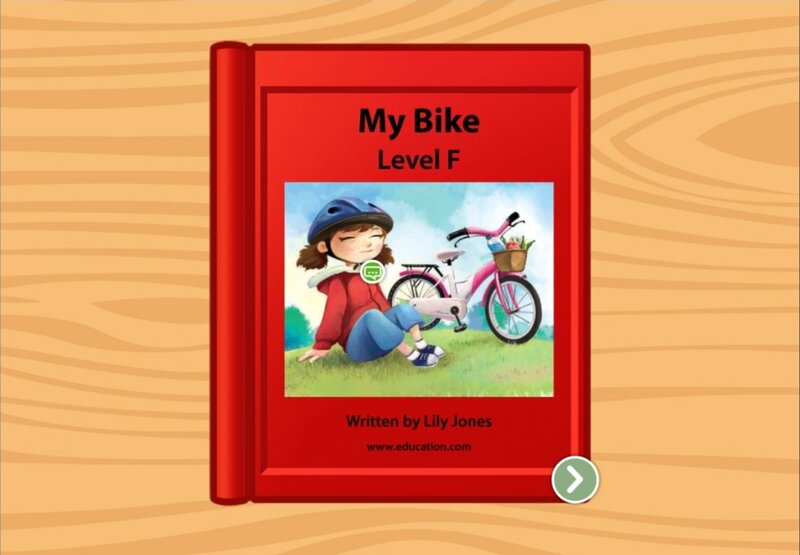 In this levelled book, kids follow the narrator on a bike ride around her town. 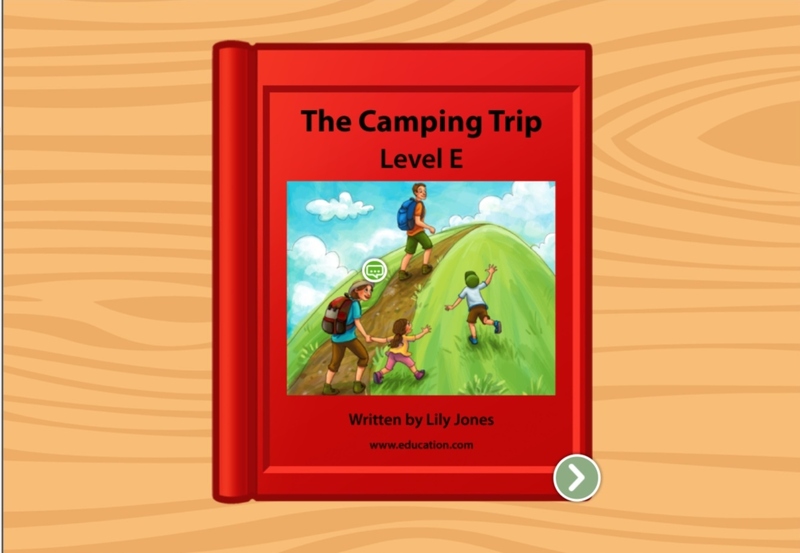 This story not only provides a fun story that's probably familiar to a lot of kids, it works on essential reading skills determined by education professionals. In this levelled book, Floyd and Cuz-Cuz fill a lazy summer day with building sand castles, gardening, and using their imagination. In this story about making new friends (and keeping the old), kids can learn about how fun it is to make new friends, and get some practise reading, too. Who doesn't love cookies? 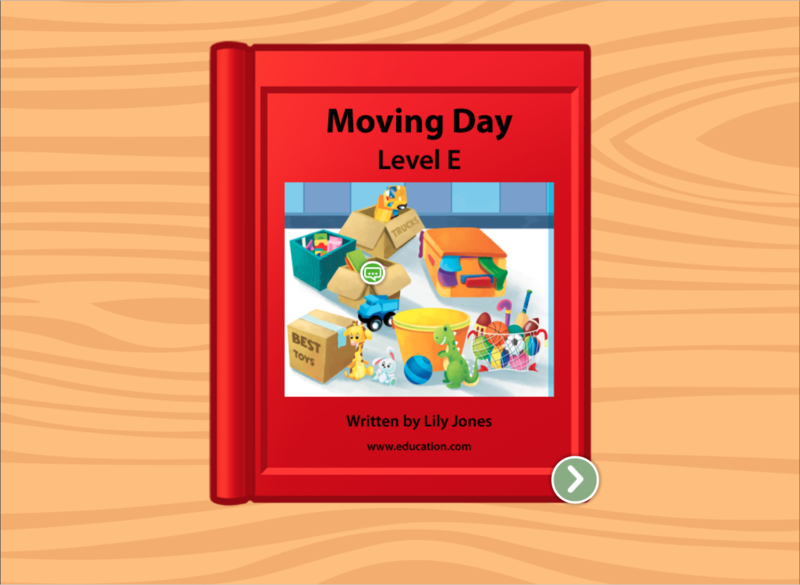 A great way to practise sequence of events, this levelled book is a perfect start for new readers. 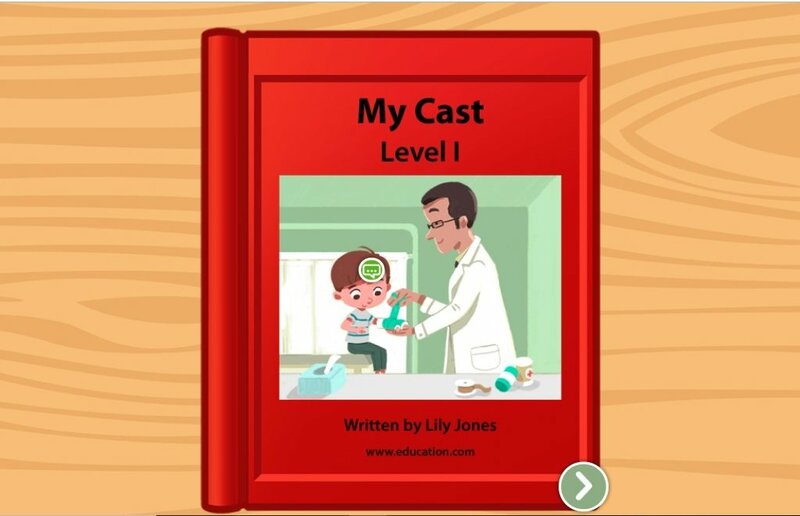 Teach children all about fixing broken bones with a cast in this levelled book. 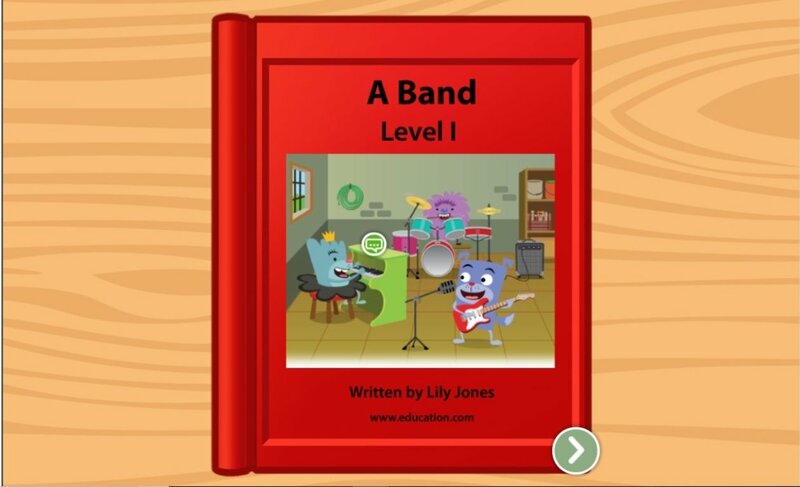 Children will learn about different musical instruments and build essential reading skills with this music-themed levelled book. 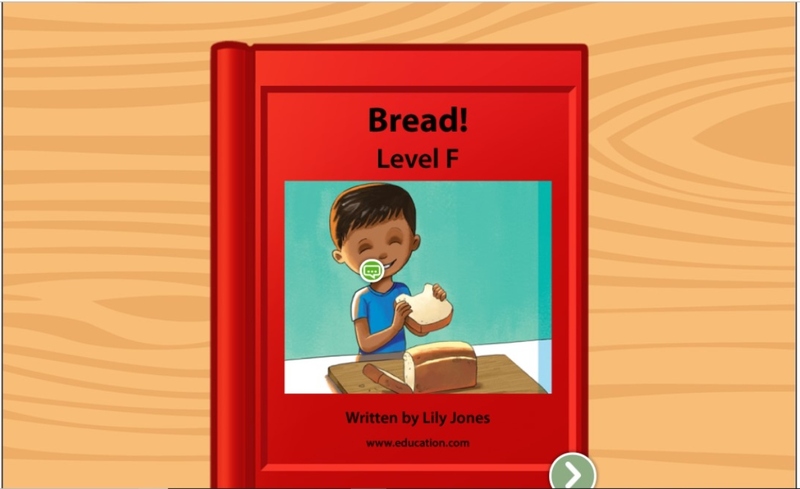 Help children practise sequence of events in storytelling with this levelled book, boosting reading, writing, and cooking skills, too. 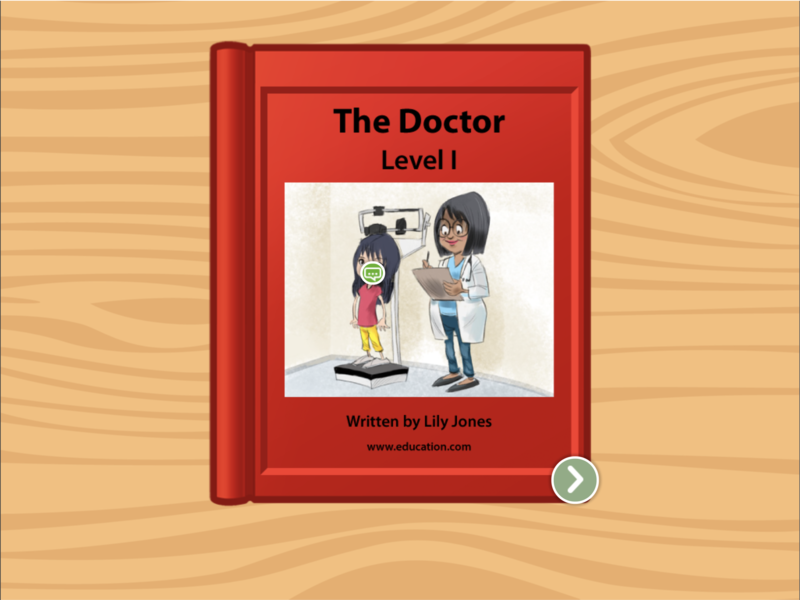 Learn about the human body -- and get some reading practise, too -- in this two-in-one activity where kids will read about Rhianne and the way her body works.